With prescription drug spending soaring, many consumers and health care experts are wondering if any relief is in sight for the pain of rising costs. U.S. spending on prescriptions hit $379 billion last year. That was an increase of 13% in one year, which was the sharpest annual increase in at least a decade. The drug cost problem is generating an intense search for solutions as health care experts question whether drugs are being priced out of the reach of patients who need their medicines. Doctors are speaking out against the high cost of specialty drugs. Employers are promoting to their employees the option of generic drugs and obtaining them through mail order. And health plans are looking at their formularies to make sure drugs are correctly tiered for their plans based on cost and benefits to members. The debate took on a new pitch a few months ago as a large, influential group of physicians questioned the sharp increase in cancer drugs, some of which cost more than $100,000 a year. 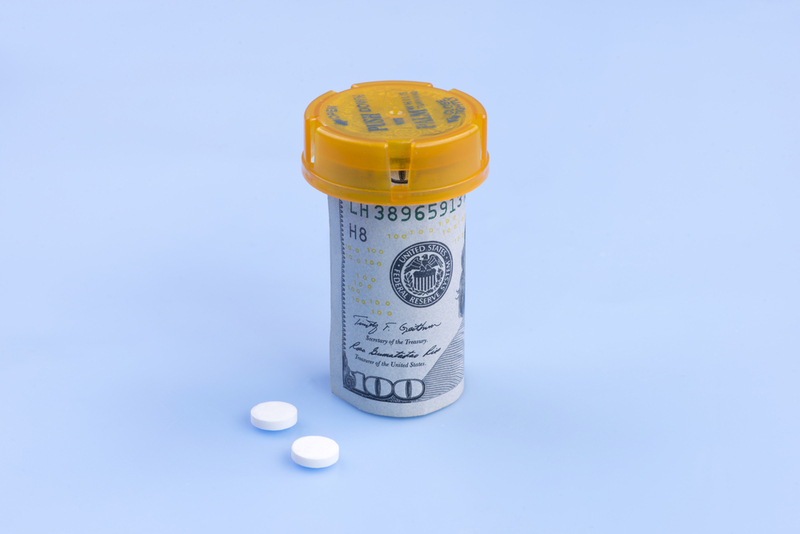 In an opinion piece in the Mayo Clinic Proceedings medical journal, lead author Dr. Ayalew Tefferi, a hematologist at the Mayo Clinic in Minnesota, wrote that some of his patients are going bankrupt trying to pay for their medications. “The high prices of cancer drugs are affecting the care of patients with cancer and our health care system,” Tefferi wrote. It’s one thing to draw attention to rising prescription drug costs and their impact on consumers. It’s another to do something about it. To meet the challenge, those affected by higher prescription prices are developing new strategies that they hope will have a positive impact. Health plans are working to reclassify benefits around certain costly drugs. Most often, that comes through changes to the formulary — the list of covered drugs. When a drug is shifted to a higher tier, it can result in higher out-of-pocket costs. Doing so can encourage doctors and patients to consider more affordable alternatives such as generics, when available, and it can also put pressure on drug manufacturers to lower costs. At BCBSNC, we’re shifting certain drugs to the specialty tiers where appropriate and revising formularies associated with our health plans. Some small group and individual customers will see specialty drugs for cancer and HIV/AIDS treatment moved to a tier with other specialty prescriptions. Specialty drugs are those that may require special handling or administration by medical professionals, and are used to treat serious and chronic conditions. This change impacts a small number — about 600 — of our customers with Affordable Care Act plans. Customers on these plans are protected by their out-of-pocket maximum in the total expenses for all of their health care, including doctor visits and prescriptions. When you factor that protection in, the average customer would pay between $30 and $40 more per month for prescriptions. We also recently announced changes for 2016 to offer more sustainable products for our customers. Some areas of the state will have lower premium plans with a more limited network of health care providers. If you live in one of those areas and currently are on a Blue Advantage plan (a broad network plan), your pharmacy benefits will change to the Basic Open formulary with a Limited Pharmacy network. Many of the same drugs will be covered in your new plan. One example of this plan is for brand-name drugs with a generic equivalent (see table below). With this change, most current ACA customers would pay the same for staying with a generic, but could pay substantially more for the branded drug if they don’t switch to the generic. Rising health care costs require that health insurers take steps to rein in costs wherever possible and create sustainable plans for customers. As we do so at BCBSNC, we’ve been communicating with affected customers to give them information and options to help them make the right decisions about their care. If you have questions, please call Customer Service at the number listed on the back of your card. You can also search our list of covered medications. Since drug costs are a top health care concern among consumers, it’s essential that patients discuss prescription options with their doctors and get the medicines they need to avoid an even bigger — and more costly — health challenge later. Estay Greene, PharmD, is vice president of pharmacy services at Blue Cross and Blue Shield of North Carolina. He is responsible for leading the company’s prescription drug programs and benefits. Before joining BCBSNC, he was director of pharmacy benefits for the Cleveland Clinic/Cleveland Health Network in Ohio.